This form allows the NeuroAiD™ product specialists to better understand your specific case (or your dear one's) in order to give you an appropriate answer. NeuroAiD™'s well trained and dedicated staff will get back to you within one business day . All particulars remain strictly confidential. What type of stroke was it? What disabilities did it cause? How much is the patient independent? You will be contacted by one of our agents to confirm your details before sending the book. This promotion is limited to one book per family. Which format do you prefer to read the book in? What questions do you have about NeuroAiD™? 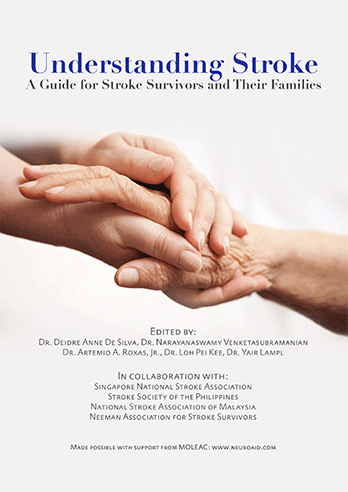 Subscribers receive a monthly newsletter with articles on stroke recovery techniques, tips on living with a stroke, news on emerging treatments, as well as other stroke victims' stories. Subscription is free and you may opt out at any time.